Nifty September series is so far continuing its sideways expiry series with again raising North Korea tension as US President Mr Donald Trump announces executive order targeting North Korea’s trade and banking activities, calls for denuclearization. Volatility raised intraday to 10%. Trading Sentiment continue to be negative for the fourth day. Chinese Downgrade and North Korean tension weigh Asian markets on friday trading session. However Put writers are active at 9900PE and 10000PE strike price and relative Put call ratio at 3.95 and 1.09 respectively. 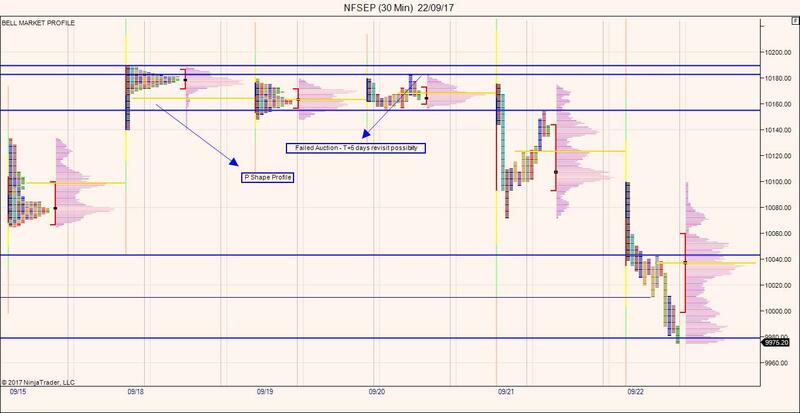 Trading sentiment from the profile perspective continues to be negative with resistance around 10042 region. 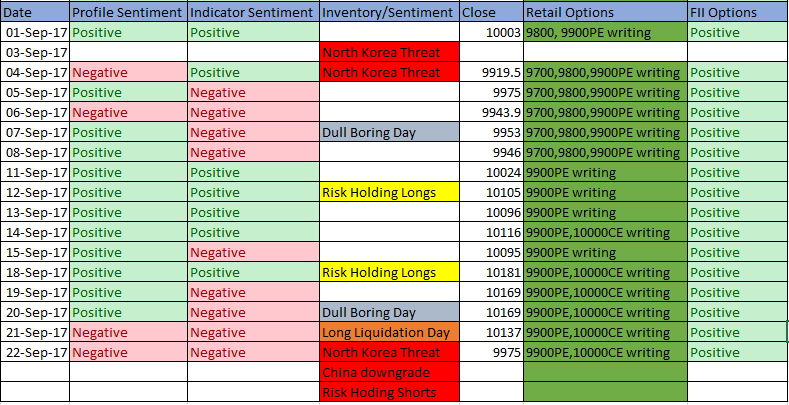 Despite all the negative sentiments market internals are bullish and Price crossing above the psychological level 10000 nifty could reattempt testing 10180 – 10200 levels. Point of control failed to migrate along with the price indicating a risk of holding shorts for next week as inventory got short to too short. Will be using this excel not to take a buy or sell positions but to place in a better way in the market. Means based on excel will decide whether to trade intraday or positional. Whether trend following or mean reversion. So one would be able to adjust with the market rather than following only one rule.